Our company specializes in assisting investors and managing real estate profits while providing comprehensive services in the field. What Makes Israel A Promising Opportunity For Investors? Israel’s strong economy serves as an international target for foreign investment. Israel’s economy remained strong and resilient following the international financial crisis. The country continues to enjoy stable markets, thriving industry and powerful banks alongside a low unemployment rate (6% alone compared to the rate of 11% or more in Europe) and the Shekel continues to gain strength against the Dollar and Euro. In real-estate, a steady growth has been going on for many years, with a rising demand for both Israeli and foreign investors. The main cause for lower interest rates is the strengthening of the Shekel compared to other important currencies in the world. This harms exporters and through them the entire local market. Israel is one of the few western countries with a constant population growth: each year at least 15,000 new immigrants come to the country and the average birthrate is 2.96 children per woman (the highest in any of the OECD countries). Thus, many new households appear each year and the demand for housing increases. However, since the country is so small, Israel is currently experiencing a shortage of close to 100, 000 apartments. Jews from all over the world are demanding to purchase a house in Israel despite not living in the country. For the past 50 years real estate prices in Israel have gone up by 2000% and over time their worth is getting close to assets in New York, San Francisco, Paris and Hong Kong. The international futures expert Mr. David Passig claims that in a decade Israel will become an economic and political powerhouse and that real estate prices will sky-rocket. The reason lies in 45% of the Israeli population under the age of 25 – something nowhere else encountered in the western world. This means that half of the current population will get married soon, giving birth to children and thus requiring additional housing. Thus, prices will go up to currently unimaginable heights. Israel Is A World Leader In Apartment Ownership. Purchasing apartments in Israel is a cultural norm: 70% of Israelis live in apartments owned by them; amongst the highest percentages in the world, unlike Europe and USA where only 30% to 50% live in privately owned apartments. High ownership rates influence a higher asset liquidity and there is no problem with selling assets quickly. The Wall Street Journal wrote that according to a new report on 12 cities expected to lead the luxury real estate markets of the future – Tel Aviv is about to become the next big thing in the luxury real estate marketplace. 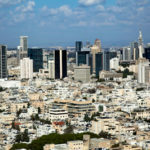 An internet survey by the Wall Street Journal marked Tel Aviv as one of the three most innovative cities in the world. 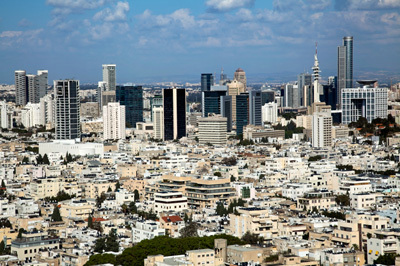 30% of real estate deals made in Tel Aviv are made by investors. Tel Aviv is the high-tech capital of the world after Silicon Valley and all of the major worldwide high tech companies have a branch in the city: Microsoft, Google, AT&T, IBM, etc. Income from rent up to 17,500$ a year is tax exempt, otherwise the tax is only a low 10%. Israel has a policy of exemption on rate appreciation for owners selling an apartment. Multiple apartment owners pay a tax of only 25% (with many costs cut by selling the asset). In Israel you can easily use bank leveraging for a return rate of over 12% of your net worth from renting the apartment. There is no difficulty renting out apartments in areas with high demand and investor properties are never empty. Many students from all over the world come to study in Israel and the demand for apartments near the campuses is high. The evidence that real estate investment in Israel simply pays off is the fact that many Israeli’s themselves invest in Israel. The Chinese invest in Israel in every field: real estate (construction), technological firms, high-tech, biotech, food companies, energy, chemicals, communications, academic institutes, infrastructure building and financial firms. The Chinese have recently purchased the national company Tnuva. Chinese billionaire Li Ka-shing has donated 460 million Shekels to the Technion Institute to build a Chinese branch for Chinese students. We are happy to offer you our rich experience in the field of real estate investment in Israel. Why Should You Buy Real Estate In Israel Right Now? Israel is approaching legislation regarding VAT for the purchase of apartments from contractors and families over the age of 35 which have yet to buy their first apartment and meet the standards of the law. Once the new law passes each of those families waiting for its approval will come knocking by the masses at contractors’ offices, but they won’t have enough assets available for everyone. As a result, the price of brand new apartments will skyrocket overnight, dragging second hand assets after them. The new law is supposed to be approved in a few months, which means this is the window of opportunity to purchase an investment apartment.